Men and women undergo facelift surgery to reduce signs of aging such as fine lines, wrinkles, and the sagging skin that creates jowls. Most of the time, the results of facelift surgery are exactly what the patient is expecting. Unfortunately, there are other times when a patient walks away from the surgery looking worse than when they came in. While “facelift fails” are rare, they are not improbable, as you’ve most likely seen on television and the internet. While the fear of a failed cosmetic procedure is not something you should disregard entirely, it is something that needs to be taken in stride. Surgical failures occur when the wrong technique is used. As every patient’s bone structure, skin thickness, and degree of aging is different, the surgical techniques (such as those used in a facelift) must be tailored to the specific patient. What Leads to a Fail? A failed cosmetic surgery is one that is noticeably unnatural looking. Plastic surgery of any kind should be inconspicuous to someone who does not know that you have undergone a procedure. The incisions should be discreet, and the underlying structures should look untouched, even though the only way to achieve natural-looking results is to address every layer of tissue and fat. 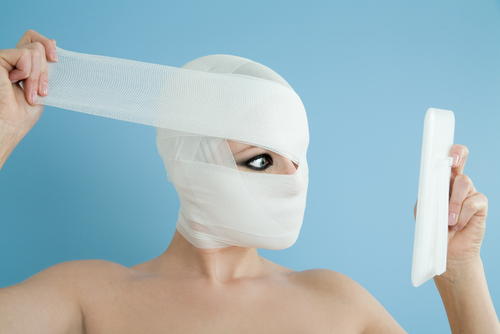 Facelift procedures were first performed very differently than they are today. Back then, the skin around the cheeks and temples was simply pulled taut and pinned closer to the scalp, with nothing done to the underlying facial structures. This resulted in an unnatural, windswept appearance. While facelifts have evolved, ending up with a windswept look is still possible. This is because the underlying structures, such as the tissues and fat around the lower and midface, are not addressed correctly. To achieve natural-looking results, the underlying fat and muscle need to be repositioned and placed precisely in their original locations. Today, some surgeons remove pockets of fat from the face. But this is not correct. Fat should never be removed from the face, as it is fat that contributes to a youthful complexion. To avoid a windblown look or correct a previous error, Dr. Calabria uses the vertical facelift technique. This technique can be used for a first-time facelift patient or a facelift revision patient. This technique differs from the traditional facelift, which works by pulling the skin laterally. The vertical facelift, as you may have guessed, lifts everything vertically. Here, the cheeks, fat, and facial muscles are all elevated and re-positioned vertically. Also, a vertical facelift does not remove any facial fat. If anything, additional fat is added to the cheeks with fat grafting to volumize the midface region better. With this technique, every feature remains in line and you will better resemble your younger self. 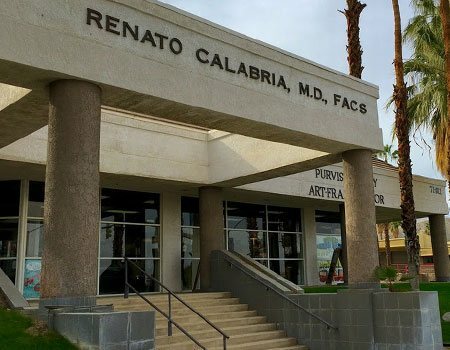 If you are looking to avoid a facelift fail or are already suffering from one, contact Dr. Calabria by calling his office at (310) 879-1488 to set up a consultation.